San Francisco Zoo — an organization that knows how to listen. One of the things I love most about social media is the access that it gives consumers to brands. I especially love how that access makes closer relationships possible between them. And the best brands respond. 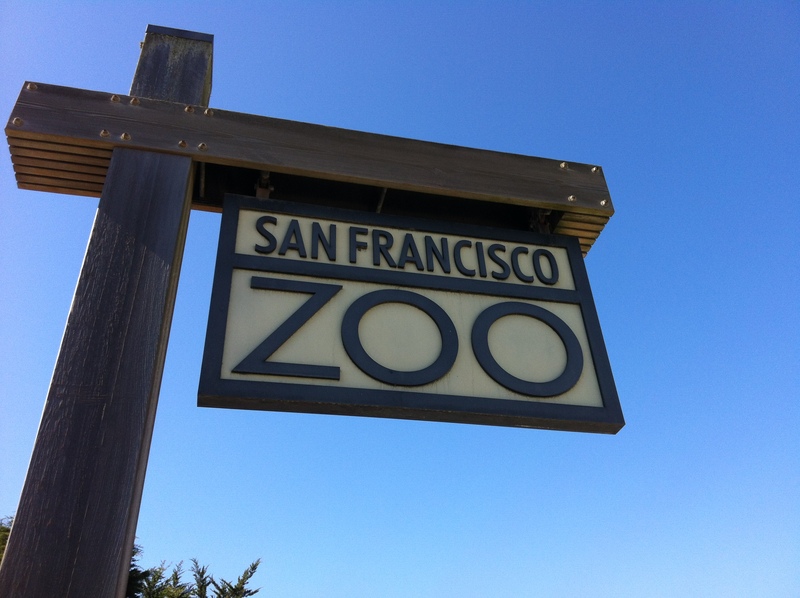 The San Francisco Zoo generates engagement by listening online and responding to mentions. The social media person at the zoo clearly takes time to monitor what’s being said about the organization online — and responds. 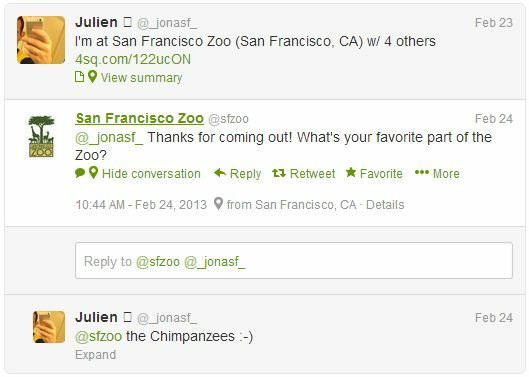 The Zoo’s typical response to an online mention often aims to add value to the customer’s experience. And it’s proactive relationship building — no crises here, just friendly “hey, how was your visit, we’re really glad you came out to see us, here’s a tip to make your trip even better.” Genius! Thought leaders like Bryan Kramer of PureMatter believe that social listening is incredibly important — and in some cases it’s even an ingredient in the alchemy that creates brand loyalists. But it looks like we may be beginning to see some backlash. Brian Solis of Altimeter recently posted analysis of an infographic that seems to say consumers don’t necessarily want brands to listen so closely and respond all the time. It sounds like people want access to brands, but they don’t necessarily want brands to hover like helicopter parents. If you look at the Netbase infographic that Solis posted, they urge brands to be smart about listening and responding. And that advice absolutely makes sense. Social media is about personalizing and interacting, not “spraying and praying.” It might take a couple of extra seconds, but really analyzing the context of what you’re hearing before you respond — if you respond — may help your brand avoid alienating potential brand advocates. Yes, we’re reminded yet again that there is an art that dances cheek-to-cheek with the science behind marketing communications. I’m incredibly curious — what do you think? Do you sometimes feel that brands listen a little too closely? Do you sometimes want to be able to mention brands online without a response? *Quotation in the title is based on a line from one of my favorite movies, Sordid Lives, written and directed by the inimitable Del Shores.